In Table 4, which reports numbers of different procedures in each country, column headings for Gastric Plication (GP) and One Anastomosis Gastric Bypass (OAGB) have been interchanged. Despite this error, we want to reassure the reader that all the numbers have been double-checked and the results are correct. All the other tables and charts have not been influenced by this mistake. Numbers and statistics of OAGB worldwide and in the IFSO chapters have not been altered. 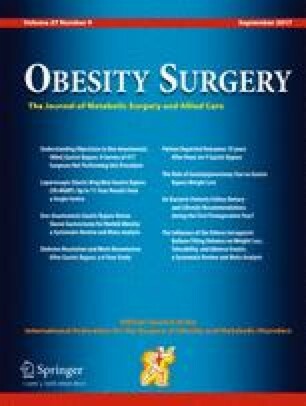 In Table 5, please note that the figures of the populations refer to the adult population (15–64 years) eligible for bariatric and metabolic surgery (source: http://www.indexmundi.com/it/). This erratum also gives us the opportunity to sincerely express our gratitude to the presidents of the IFSO National Societies, who have worked hard to collect data from their registries. The corrected Table 4 follows.